The Audi A6 excels for its high levels of polish and sophistication that strikes a nice blend between the performance-oriented BMW 5-Series and coddling Mercedes-Benz E-Class. First-rate interior accommodations and a remarkably hushed cabin add to the experience. Although, rear-seat room is less than impressive. Still, the A6 is an extremely appealing premium-midsize sedan. 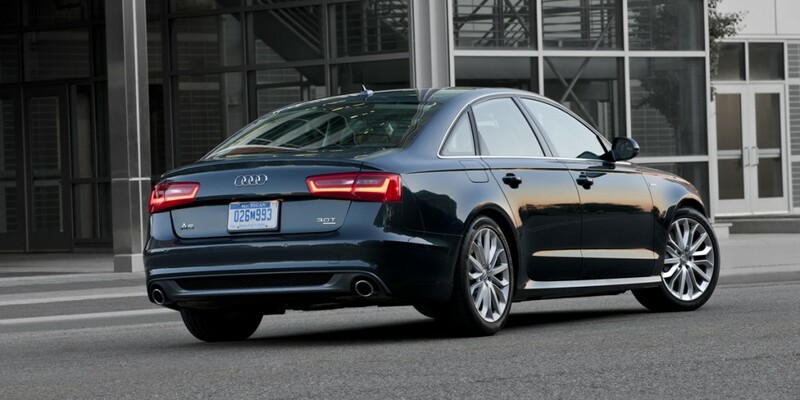 The Audi A6 was redesigned for 2012 with freshened styling and new features. This premium-midsize car is offered as a sedan. A6 models comes in two forms. The front-drive 2.0T pairs a 4-cylinder engine with a continuously-variable transmission (CVT) that behaves much like an automatic. 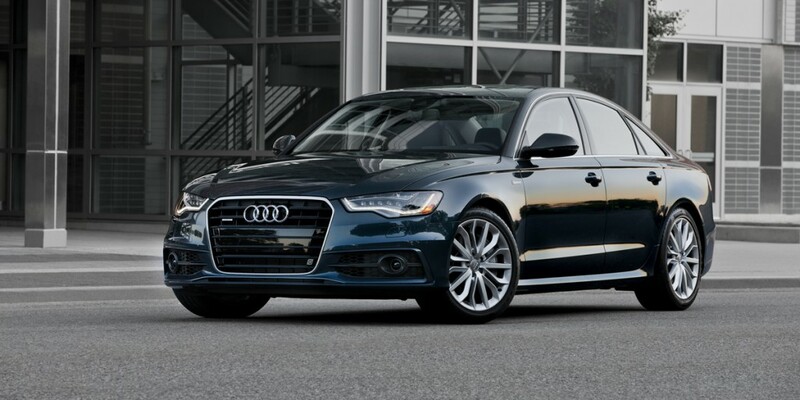 The 3.0T comes with Audi’s quattro all-wheel drive and is powered by a supercharged 3.0-liter V6 engine. The sole transmission is an 8-speed automatic. Safety features include ABS, traction control, antiskid system, curtain-side airbags, and front- and rear-side airbags. All A6 models have Audi’s MMI (Multi Media Interface) control that uses a console knob and switches, and a dashboard screen to adjust audio, climate, and other functions. Among the available features are a navigation system, forward-collision warning, adaptive cruise control, head-up display, four-zone automatic climate control, and night-vision camera. All A6 models, dubbed 2.0T and 3.0T, came in a single Premium trim level with standard leather upholstery, 8-way power front seats, driver-seat memory, wood interior trim, power sunroof, and a cooled glovebox. All-wheel drive A6s included heated front seats, a feature which was optional on front-drive versions. S6 was the sporty high-performance version of Audi’s conventional A6 premium-midsize sedan and was offered as a single sedan model with most of the same standard equipment as the top-line A6 3.0T Prestige. Specific S6 standards kick off with larger brakes, 19-inch alloy wheels wearing performance tires, and a sport-tuned adaptive air-spring suspension. Also include is Audi Drive Select, which allows tailoring engine and throttle responses, transmission shift action, steering and suspension firmness, and other parameters through Comfort, Dynamic, Auto, and Individual modes. 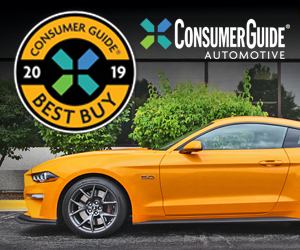 Exterior distinctions involve a slightly different grille and lower fascias, flared lower-body sides, a trunklid spoiler, and four exhaust tips, two on each side. Interior upgrades include the expected S6 logos, aluminum-trimmed pedals and console, fine-grain-ash accents, and 12-way sport front seats with driver-side memory and power lumbar support. S6 was built in Germany as an enthusiast-oriented “factory hot rod,” and thus vied for sales and bragging rights with the M5 in the BMW 5-series line, the Cadillac CTS-V sedan, and the E63 sedan that’s part of the Mercedes-Benz E-Class family. The Jaguar XF Supercharged and XFR offer British alternatives to the Cadillac and the German trio. Audi redesigned A6 for the 2012 model year. For 2013, the lineup expanded to include a 4-cylinder model with all-wheel drive (previous 4-cylinder A6s were front-drive only). The high-performance S6 also returned. 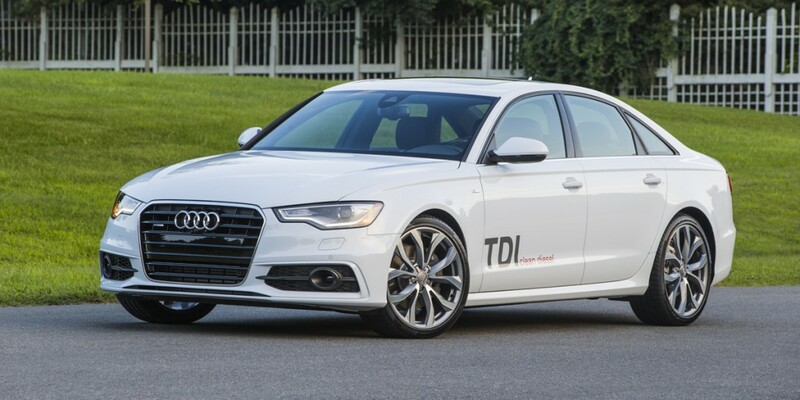 For 2014, Audi added a turbodiesel engine. The 4-cylinder engine’s horespower rose from 211 to 220. The A6 was initially offered with a choice of a 211-horsepower (220 for 2014) turbocharged 4-cylinder engine and a 310-horsepower supercharged V6. A 240-horsepower turbodiesel V6 was added in 2014. The sporty S6 returned in 2013 powered by a 420-horsepower turbocharged V8. All are mated to an 8-speed automatic transmission except FWD 2.0T which has a continuously-variable transmssion (CVT) and the S6 which has 7-speed automated-manual transmission which can be set to shift automatically. All have Audi’s Quattro all-wheel drive except the 2.0T which can be had with front-wheel drive. 1. 8-speed automatic standard AWD models, CVT standard FWD models. With the V6 engine, A6 is plenty quick by any measure, albeit maybe not quite as fast as Audi’s claimed 5.3-second 0-60-mph time. The 8-speed automatic transmission is occasionally slow to downshift when more power is needed for highway passing and merging, but using the manual shift gate or optional steering-wheel paddles helps. We have not tested a 4-cylinder A6. Following a mild initial delay, S6 power delivery is ferocious from a stop. Once underway throttle response is immediate and power prodigious. All A6 models tested had the optional Sport Package with 19-inch wheels. So equipped, the included Audi Drive Select allows drivers to adjust suspension firmness, steering, and throttle sensitivity among three modes. 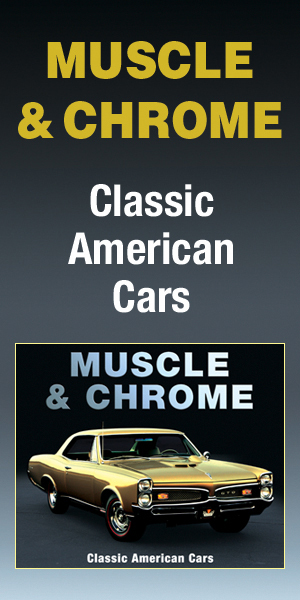 Regardless of what you select, the car’s ride is firm in the European tradition. The Comfort and Automatic settings afford greater smoothness on the highway. The sporty Dynamic mode is a touch harsh on uneven pavement, though not enough to be a deal breaker. Our S6 test car was equipped with the available 20-inch wheels and tires instead of the standard 19s. Ride is decidedly firm, but generally without harshness, even over larger road-surface irregularities. A6 falls right in between its German rivals (BMW 5-Series and Mercedes-Benz E-Class) for handling. It’s more responsive than the Benz but not quite as “tossable” as the BMW. The sport suspension’s Dynamic mode offers the most engaging experience, though all settings deliver accurate, quick steering. All suffer from a surprisingly wide turning radius, which hurts close-quarters maneuverability. More sports car than sports sedan, the S6 is a joy to drive on curvy roads. The S6 isn’t as free of lean as, say, a Porsche 911, but this Audi never feels as large as it looks. Light, responsive steering and ample grip contribute to the car’s athletic feel. The A6’s supercharged V6 sounds fantastic. It puts forth a sporty growl during full-throttle acceleration and fades into silence at cruise. Only the strongest winds allow such noise to enter the cabin. The optional 19-inch performance tires are surprisingly quiet, even on coarse pavement. Wind noise is mostly nonexistent in the S6, and road noise is mostly muffled, even on rough surfaces. Engine noise is prevalent even during modest acceleration, though its refined mechanical note should please most performance seekers. Engine noise never quite disappears at highway speed, but it is reduced to a muffled, sporty burble. Both A6 and S6 features Audi’s MMI control system with a touchpad that recognizes handwritten commands and can be used to change settings and enter data, depending on the function selected. It’s a neat idea but one that’s best used when the vehicle is stationary. MMI takes much longer to master than other “all-in-one” control interfaces. The navigation system includes data and views from Google Earth, but some testers found its display too fuzzy for best legibility than the standard map. A6 materials and overall design impress from a visual and tactile standpoint. The available ash-wood trim makes the cabin feel warm and inviting while the aluminum adds a sporty flair. The game is taken up a notch in the S6, which is trimmed in real carbon fiber and additional aluminum trim. Most impressive are the knurl-finished rotary knobs, reminiscent of the controls found in Bentley vehicles (note that Audi and Bentley are both divisions of Volkswagen). Like the materials themselves, fit and finish are top notch. Tall drivers and front passengers benefit from the long seat tracks. The standard seat position is fairly low, and raising the seats quickly shrinks headroom. Visibility is generally good, though a bit constricted to the rear. There’s not quite as much space in the rear as the exterior size might suggest. Legroom and knee space are surprisingly tight, and tall passengers will find headroom lacking. Fortunately, the bench seat is comfortable and supportive. The door opening is quite narrow at the bottom, which pinches entry and exit. The trunk is roomy by absolute standards, but its usefulness is hurt by a somewhat narrow opening. We appreciate the fact that Audi includes strut-type lid hinges and spilt-folding rear seat backs as standard. Ditto the bag hooks, cargo tiedowns, and bumper-level load floor. Interior storage comprises decently large door map pockets, a front-console cubby, a shallow tray in the rear-center armrest, rear magazine nets on the front seats, and a modest dashboard glovebox. Description: In the event of a crash, the curtain side airbag might not deploy. Description: A leak in the fuel injection system could result in fire. Front- and rear-obstacle-detection system, LED daytime running lights, navigation system w/voice recognition, traffic information, Audi Connect assistance system, glovebox-mounted 6-disc CD changer, music hard drive, high-definition radio, automatic day/night driver-side mirror, xenon headlights, 245/45R18 tires. Premium Plus Pkg. plus rear dual-zone automatic climate controls, power tilt/telescopic steering wheel w/memory, heated/ventilated front seats, keyless access and starting, rearview camera, Bose sound system, unique exterior trim, steering-linked adaptive xenon headlights, cornering lights, unique alloy wheels. Steering-wheel shift paddles, sport suspension, 245/45R18 tires. Steering-wheel shift paddles, sport suspension, 255/40R19 tires. Requires Premium Plus Pkg. or Prestige Pkg. Steering-wheel shift paddles, sport suspension, 255/35R20 tires. Requires Prestige Pkg. Blind-spot alert, rear pre-collision system, adaptive cruise control. Requires Premium Plus or Prestige Pkg. Blind-spot alert, rear pre-collision system, night vision, head-up instrument display, adaptive cruise control, power-folding mirrors. Requires Prestige Pkg. Heated front seats (2.0T), heated rear seats, heated steering wheel. Includes rear pre-collision system, power-folding mirrors. Front- and rear-obstacle-detection system, LED daytime running lights, navigation system w/voice recognition, traffic information, rearview camera, Audi Connect assistance system, keyless access and starting, 7-inch color screen, music hard drive, high-definition radio, automatic day/night outside mirrors, xenon headlights, 245/45R18 tires. Premium Plus Pkg. plus rear dual-zone automatic climate controls, power tilt/telescopic steering wheel w/memory, heated/ventilated front seats, Bose sound system, ambient interior lighting, unique exterior trim, steering-linked adaptive xenon headlights, cornering lights, unique alloy wheels. Steering-wheel shift paddles, sport suspension, 255/40R19 tires. Steering-wheel shift paddles, sport suspension, 255/35R20 tires. Requires Prestige Pkg. or Prestige Pkg. Blind-spot alert, rear pre-collision system, adaptive cruise control, power-folding mirrors. Requires Premium Plus or Prestige Pkg. Blind-spot alert, rear pre-collision system, night vision, front and rearview cameras, head-up instrument display, adaptive cruise control, power-folding mirrors. Requires Prestige Pkg. Heated front seats (2WD 2.0T), heated rear seats, heated steering wheel.